Study objective was to hypothesize that the consumption of green leafy vegetables (GLV), including cruciferous vegetables (CV), significantly reduces the incidence of gastrointestinal cancers. The hypothesis was answered by using the experimental approach of meta-analysis by synthesizing relevant worldwide studies that address the association between the consumption of GLV and risk of incidence of the disease. The random effect model was used and indicated an overall odds ratio effect size of the almost every day highest vs. lowest quantile intake category of GLV on gastrointestinal cancer as: OR = 0.651 (95% CI. 558 to .760), p<.001. These results indicate the highest quartile or quintile of intake of GLV and/or CV compared to lowest in take is associated with a significant 34.9% lower odds of incidence from gastrointestinal cancers. RICHARD LEE POLLOCK, Dr.. 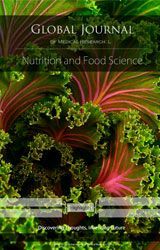 The Effect of Phytochemicals Intake from Green Leafy Vegetables on the Incidence of Gastrointestinal Cancers: A Meta-Analysis. Global Journal of Medical Research, [S.l. ], dec. 2017. ISSN 2249-4618. Available at: <https://medicalresearchjournal.org/index.php/GJMR/article/view/1433>. Date accessed: 24 apr. 2019.